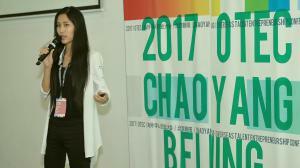 SANTA CLARA, CALIFORNIA, THE UNITED STATES, August 2, 2018 /EINPresswire.com/ -- The 6th OTEC International Startup Meetup was held on July 21th, 2018 at the Beijing Chaoyang International Talent Exchange Service Center. It was hosted by Chaoyang Overseas Talent Center and co-organized by Startup Grind. The Overseas Talent Entrepreneurship Conference (OTEC), founded in 2013, is a comprehensive platform for entrepreneurs to innovate and start up new businesses in China. 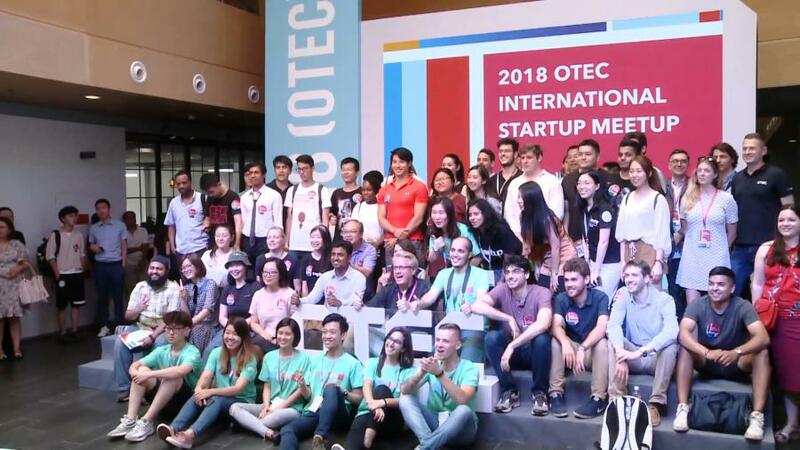 The International Startup Meetup was one of six events at Year 2018 OTEC, this event having been held for four consecutive years. With a focus on foreign entrepreneurs who have a startup or who would like to start a business in Beijing, the platform provides them with support and resources services such as funding, policy advice, and office space. This year the event introduced new features including Investor One-on-One sessions, experience sharing, policy information, and a panel, altogether attracting over 200 startups from China and other countries. It also offered investors the opportunity to get involved with potential projects. 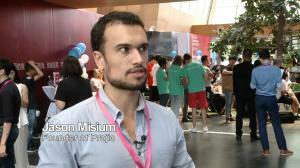 During the event the opening ceremony of the International Talent Innovation Accelerator took place. The Center has specially set up a 500sqm space, or 100 workstations, for foreign innovation projects in China, offering them free entry acceleration services for 12 months. “I think it is great they’re doing this because as a foreign company founder based in China one of the problems is the small logistics issues. So when someone as well connected and as deeply supportive as Chaoyang government can come in and provide that support, it really helps founders to focus on just their product and understanding their market,“ Jason Misium, founder of Projio, said. As the highlight of the six events at OTEC 2018, the Finals of the Global Startup Competition will be held in Beijing on August 10. The winner of “Honorable Mention” at the 2017 OTEC Entrepreneurship Competition Global Final was CEO of Bengege Recycling, Gui Bowen, or Anna Gui. She left the financial company Black Rock in the New Year, returning to China to start an innovative B2B platform for recyclables. OTEC is initiated by the Beijing Chaoyang District Government together with the Beijing Chaoyang Overseas Talent Center and co-organized by ZhenFund, Pegasus Brigade, and the China Convoy Group. The aim of the organisation is to offer entrepreneurs various types of resources, including but not limited to “projects, funds, technologies, talents, services, policy information, work spaces and markets”, but also providing incubators and acceleration services. OTEC, held five times to date, has attracted more than 18,000 entrepreneurs from 20 countries and regions, including the United States, the United Kingdom, the Netherlands, Israel, Australia, South Korea, and Singapore. Nearly 4,000 projects, and more than 100 venture capital institution leaders have participated. More than 400 projects have been successfully funded via OTEC, and over 200 projects have already begun in Beijing as well as in other parts of China. BON Cloud tells the world the latest and most interesting stories taking place in China,connects you with all your media needs, resources and opportunities. What's next for US-China relations when trade war smoke clears?